A large study conducted by Stanford University researchers suggests Apple Watch can detect an alarming irregular heartbeat, demonstrating a potential future role for wearable technology in healthcare. Although the findings were presented at the 2019 American College of Cardiology (ACC) Annual Scientific Session, experts say the results are not definitive, and more work is needed to tell if using wearable technology to screen for heart problems really helps. The study was funded by Apple Inc.
“The findings provide the evidence we need to continue investigating this strategy and to see if wearable technologies can identify AFib earlier, leading to earlier treatment and reducing the number of strokes,” said Dr. Campbell, a clinical pharmacist in electrophysiology at Duke University Hospital, in Durham, N.C., who was not involved in the research. 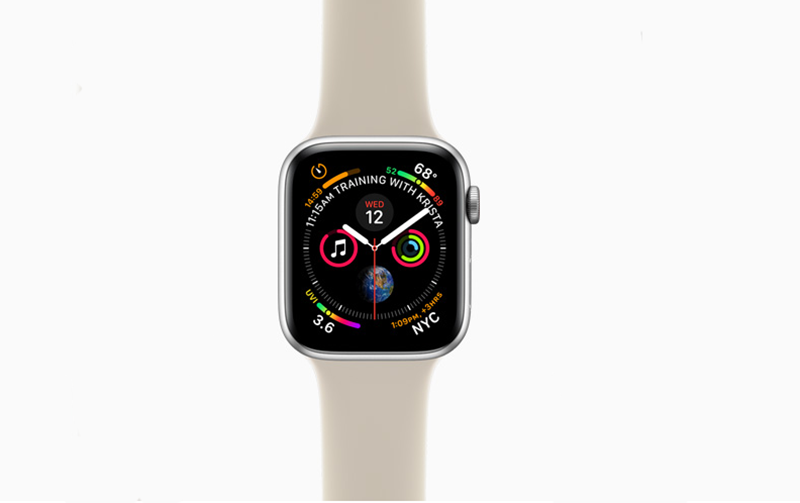 More than 419,000 Apple Watch users signed up for the unprecedented analysis, known as the Apple Heart Study. This was the largest ever study to explore screening seemingly healthy people for atrial fibrillation (A-fib). 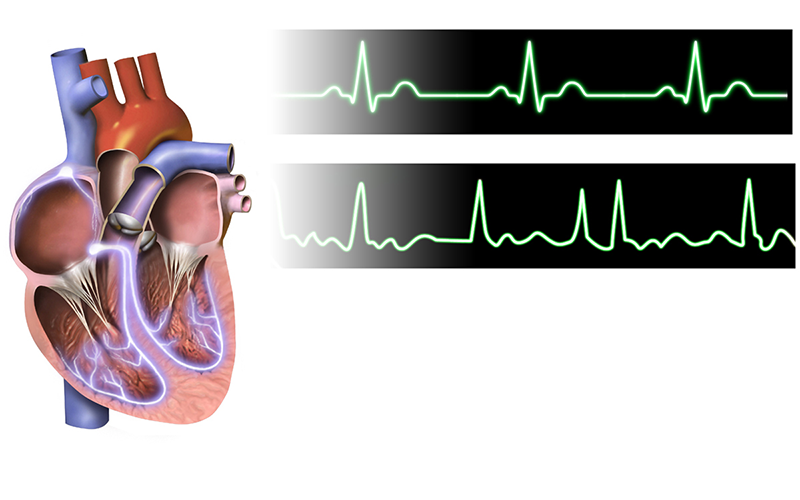 Atrial fibrillation is an abnormal heart rhythm (arrhythmia). Blood flow from the top chambers of the heart to the bottom chambers varies from beat to beat, and the heart cannot pump blood to the rest of the body efficiently. If left untreated, A-fib can cause potentially life-threatening health issues, such as a stroke. Of the participants, 0.5%, or about 2,000 subjects were warned by the watch that they might have a problem. Those people were sent an ECG (electrocardiography) patch to wear for subsequent detection of atrial fibrillation episodes, reports Reuters. “The study’s findings have the potential to help patients and clinicians understand how devices like the Apple Watch can play a role in detecting conditions such as atrial fibrillation, a deadly and often undiagnosed disease,” Mintu Turakhia, the study’s lead author and an associate professor of cardiovascular medicine at Stanford, said in a statement.